Needless to say, Rockstar Games has done a fabulous job in this generation of gaming, even if it did so from just two games. Grand Theft Auto V’s ports have helped contribute to the game’s 100 million unit-plus sales; while Red Dead Redemption 2 has become one of the fastest-selling sequels ever, and a true testament to open-world adventure. So what’s next? Well, apparently, something. Per this report from GearNuke, the company has posted a number of job listings for several upcoming games, calling them “next-generation” projects. Obviously there aren’t any details as to what these games could be, but they sound promising, to say the least. The company is apparently putting some extra effort into its animation systems, as it’s looking for a Technical Face Developer in its New York studio, along with a Senior Technical Artist for its Toronto-based office. The point of those jobs is “to help research and develop new technology for future titles,” per the listing. 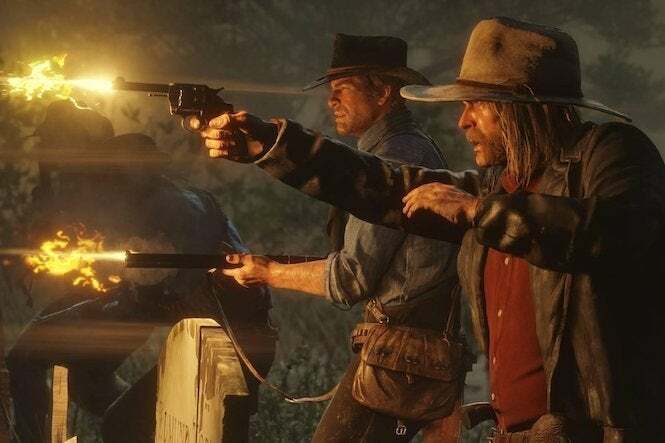 It’s also looking to improve its motion capture system to “create and build upon the next generation of MoCap tools and pipeline,” even though it did quite well with details in games like Red Dead 2. Now the real question is...what could the company be working on? There’s no question Grand Theft Auto 6 is in that mix, if it hasn’t already begun development; and we keep hearing rumors about a sequel to Bully possibly making the rounds. But we won’t know until the company makes official announcements. We’ll certainly keep our ear to the ground, just to see what’s on the way! In the meantime, don’t miss Red Dead Redemption 2. You can play it now for Xbox One and PlayStation 4; and our review makes it clear why you should enjoy the ride! What do you think Rockstar Games is working on next? Let me know on Twitter at @TheDCD!